Our Story: Mia Regazza opened it’s doors in January 2008. It is owned by husband and wife John and Kristin Martin along with their three daughters Valerie, Courtney, and Allison. 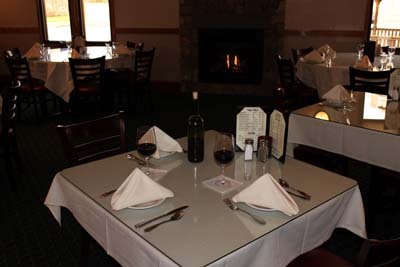 The restaurant includes a 14 seat bar which is great for dining, martinis, and is complete with an extensive wine list. It also has a 50 seat function room with a fireplace and a dining area that can accommodate up to 98 people. In season our outdoor patio and gazebo bar is a great place to dine or sip on one of our amazing frozen drinks. Come experience great seafood (especially lobster! ), steaks, prime rib, and homemade pastas! Hope to see you soon! Our Chef: Geraldo de Assis is originally from Belo Horizonte, Brazil and is now a USA citizen working as a cook for the past 21 years. Geraldo started cooking at the age of 19 and learned the art from his Mother who was also a chef. His flair for great Italian cooking makes his dishes a work of art and love. His kitchen staff is one of the most talented in any restaurant in New England. Our Staff: From the minute you are greeted at the door, until you finish the last bite of your wonderful dessert, our highly trained and skilled staff will be a breath of fresh air that sets us apart from other restaurants. You will see our staff constantly working as a ‘TEAM’ to make sure your food arrives at your table piping hot and the way you wanted it prepared.